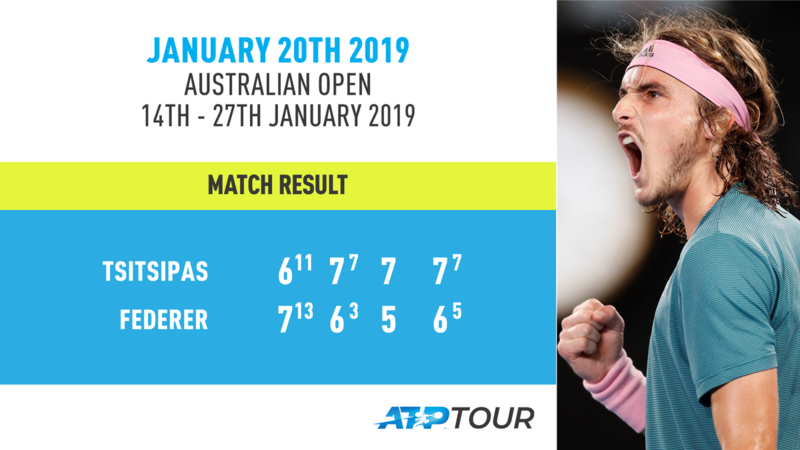 ATP Tour's tweet - "Tsitsipas Stuns Federer 👀 @StefTsitsipas defeats Roger Federer in four sets to reach his first Grand Slam quarter-final at the @AustralianOpen. #AusOpen How impressed were you with the #NextGenATP 🇬🇷? " How impressed were you with the #NextGenATP 🇬🇷?